Pilgrim Lutheran Preschool is back at it and gearing up for our 2018-2019 school year! Just look at all these clean toys just waiting to be played with! 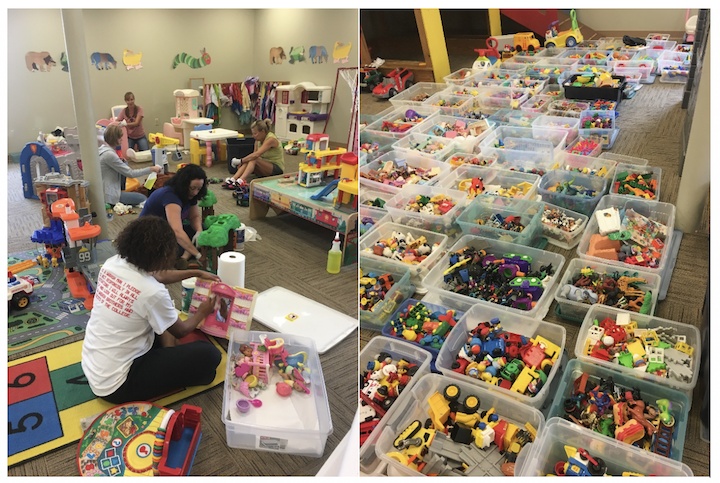 We just had our toy cleaning day, and now all the staff will be hard at work preparing classrooms for all the new and returning little people who will be starting school on August 29. It is such an exciting time of the year! Thank you to all who support our ministry to young children and their families from our community!